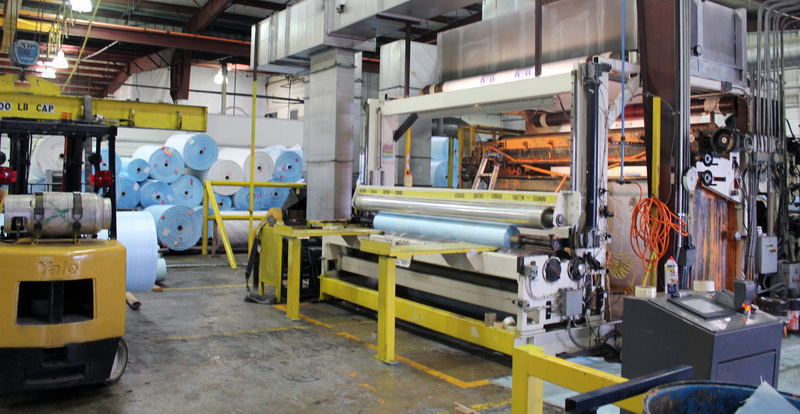 Since 1991, Concord Supply has specialized in the design, manufacture, and distribution of anti-corrosive steel-wrap, protective liners, edge protectors, and many other protective products widely used in steel and aluminum operations across the globe. In addition to our growing domestic sales, Concord Supply currently exports our products to Mexico, Canada, Guatemala, Argentina, Venezuela, Columbia, Chile, and even as far as Saudi Arabia. With just under fifty employees at our San Antonio facility, at least forty of them directly depend on our continued ability to provide international customers with our products. That is just under fifty families counting on our combined business efforts and our nation’s leadership abilities to form positive and lasting trade deals with other nations. That said, we also employ about 140 additional employees at our Monterrey distribution and service facility who also depend on our ability to trade internationally. International trade accounts for 85 percent of our revenue, which is approximately $9.5 million. Being a company that exports has been crucial to our business since day one. In 1991, our very first customer was an international customer, and 26 years later, they still buy our products. Concord Supply’s continued growth year after year has without a doubt been a direct result of the business we have been able to cultivate internationally from trade. Free trade agreements that are done right and fairly will always have a tremendously positive effect on our business. With the support from NAFTA, we have been able to have stable business relationships with Mexico and Canada and have been able to create jobs in our community. Trade and free trade agreements are the motivating forces for innovation and are a key factor in our company’s ability to grow internationally. With the support from NAFTA, we have been able to have stable business relationships with Mexico and Canada and have been able to create jobs in our community. Trade and free trade agreements are the motivating forces for innovation and are a key factor in our company’s ability to grow internationally.